Technology is a fundamental element of our SeyfarthLean approach, and we use it to facilitate efficiency, collaboration and insight. In recognition of the growing role of technology in the delivery of legal services, we continue to invest in technology capabilities to help legal teams work smarter, not harder. 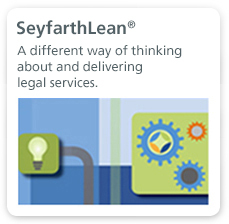 The Legal Solutions and Product teams at SeyfarthLean Consulting are comprised of technologists with legal training, data analysts and application development specialists. 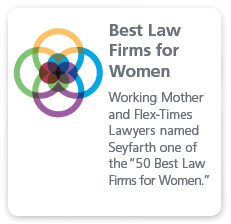 Working in close collaboration with Seyfarth legal teams and our clients, our team of interdisciplinary professionals designs, builds, and deploys technology solutions that address real user needs and pain points. We also look for trends and patterns across client requests, using those insights and market landscape analysis to inform our efforts in software development and service design. We use rapid prototyping, Agile project management techniques and ongoing client feedback to quickly move from concept to pilot to solution. 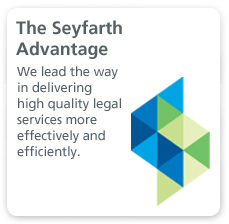 Our rich experience with clients has informed the development of a number of highly-acclaimed tools that increase transparency and efficiency, including SeyfarthLink, our next generation legal management platform. In every instance, we believe that the effective adoption of technology depends on creating a shared understanding of client objectives and team readiness. For this reason, we also offer onboarding, training and ongoing support for our technology solutions. Seyfarth wins for groundbreaking advances in the use of robotic software with SeyfarthLean Consulting.